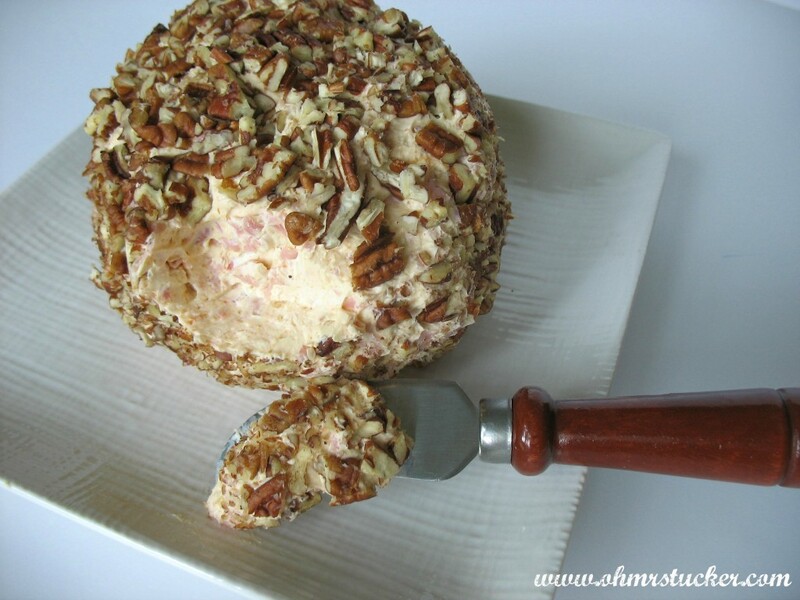 Who doesn’t love a delicious cheese ball (other than the lactose intolerant)? They are ridiculously easy to make, as well as more economical and tasty than store-bought. Not to mention, but I will anyway, almost effortless to customize to individual tastes. Ready to be a cheese ball-making SUPER STAR?! Here’s what I love about this recipe: if you don’t like a certain ingredient, leave it out or substitute it for something you love. Pecans not your nut? How about pistachios or walnuts? Hate nuts? Go neekid or roll in shredded cheese. Not a fan of green onions or jalapenos? Omit. We won’t tell. Or judge. This recipe is all about finding what floats your boat and serving it on a plate for all to eat. Find what works for you and make it your signature appetizer. Yes, that’s allowed and encouraged here. One more thing. This is a great intro recipe for the kiddos. Lots of mixing and getting hands dirty make it a fun holiday activity/tradition. Since it’s customizable, ask them what they’d prefer and serve it at the kiddie table. Thoroughly stir together cream cheese and spices. Mix in meat, green onions, jalapenos and cheese. Form into ball and roll in nuts. Cover and refrigerate to firm up. Serve with cracker or crudites. * Instead of adding the shredded cheese to the mixture, you can roll the ball it instead of nuts. * Use all ingredients, including nuts, in the mixture, then roll in smoked paprika. * If making with kids, divide the cream cheese in half and make two smaller balls for them, each with different ingredients. Who is making one for their holiday party table…or just a weekend snack…or a thank you for a special neighbor…or…? BAM! I love when that happens. I’ve made this one so many ways, but I am LOVING the addition of smoky paprika. There’s a teeny tiny piece left in the fridge, and I think, if Husband hasn’t already eaten it, I’m having it for lunch! I adore recipes that are customizable! Thanks for this. Pinning now to use at our annual New Year’s Day party. Thanks for the Pin…I know you’ll love it. Ooooo, you neeeeed to make one! STOP IT….gonna short our yer keyboard like that! Yum! This looks delicious and easy. We’d roll in cheese, I think, as there are many nut-haters in my family (not me, though!). Nuts, right? Thank you for this. Nut hatas gonna hate! Lol! Rolling in cheese is a good choice. Happy to help! This sounds wonderful! I love how you can vary it to taste! So much fun to make again and again. This looks so yummy! Now only if I had a party coming up soon! 🙂 Pinning for later! Um, I’ve made THREE in the last month and only took one of those to Thanksgiving…you don’t need a party. They are the party! Happy to make you and those who’ll be the lucky nomming recipients happy! Also great with chopped jalapenos, if you like it hot. Mrs. Tucker is not fond of it this way, but it’s delicious. Happy to spread the Yum! I was given a Recipe for Cheese Balls back in 1982. It called for: Port Wine Cheese, Not shredded cheese, or mozzarella OPTIONAL. As long as I leave out the shredded cheese, & mozzarella as well as the jalapenos,the rest of the Recipe will be AWESOME !!! Smoked paprika is gaining in popularity. I got my HUGE container at Costco, but I think most grocery stores carry it. And no worries on the complaints…just customize that badboy to your liking! This a great recipe! Pinned it! Thanks for sharing at Ducks in a row! Perfect for hiding in the back of the fridge and hoarding, um I mean any occasion! Yum! I’ve been looking for something new for holiday parties this year – love this idea! Pinning for later. Popping over from The Weekly Creative. I ate the very last part of one today…it really was good. 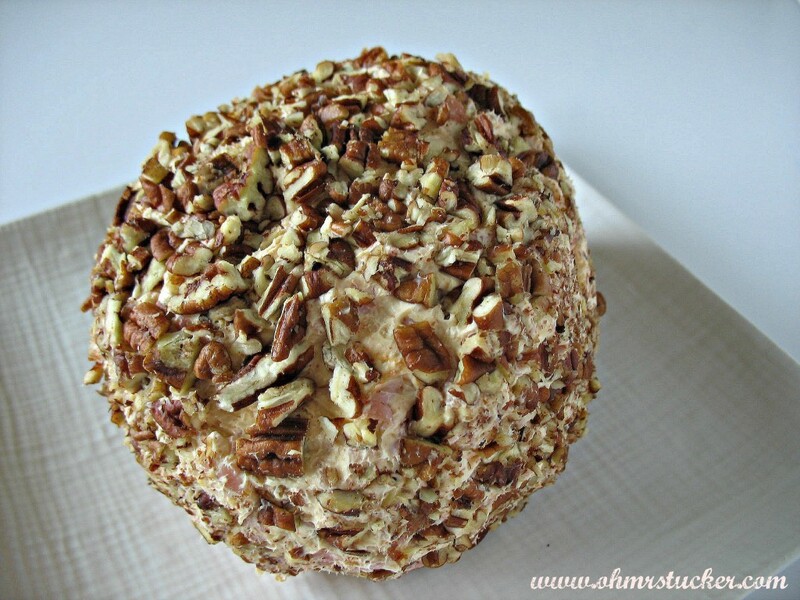 Who doesn’t love a good cheese ball! 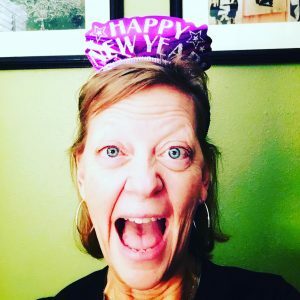 Would love for you to link this to Friday Favorites at imnotatrophywife.com! Great Cheeseball Recipe. Thank you so much for sharing with Adorned From Above’s Link Party. We love having your join the fun. Hi awesome blog. I would like to personally invite you over to my new blog called Plexus Journey with Ashley. 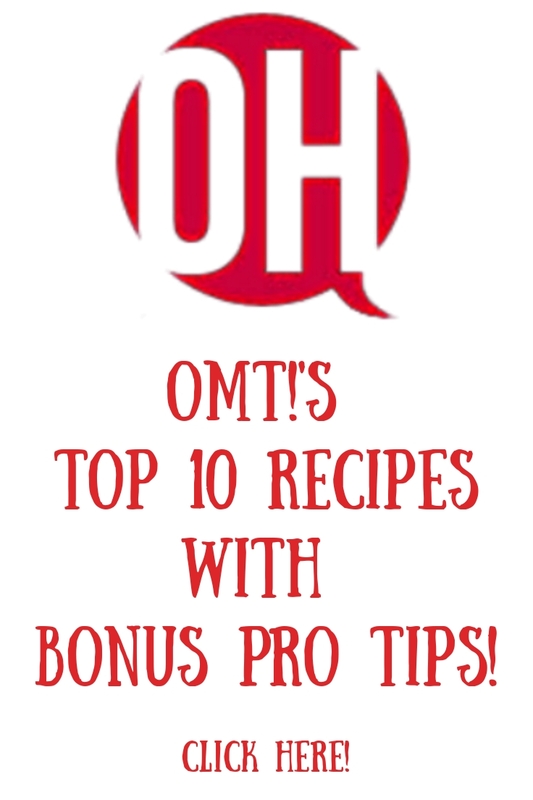 Our focus is on health and weight loss topics, tips, inspiration, and motivation. Come join us and read great stories from all kinds of people and become motivated for the new year. So happy to have you here, Ashley!